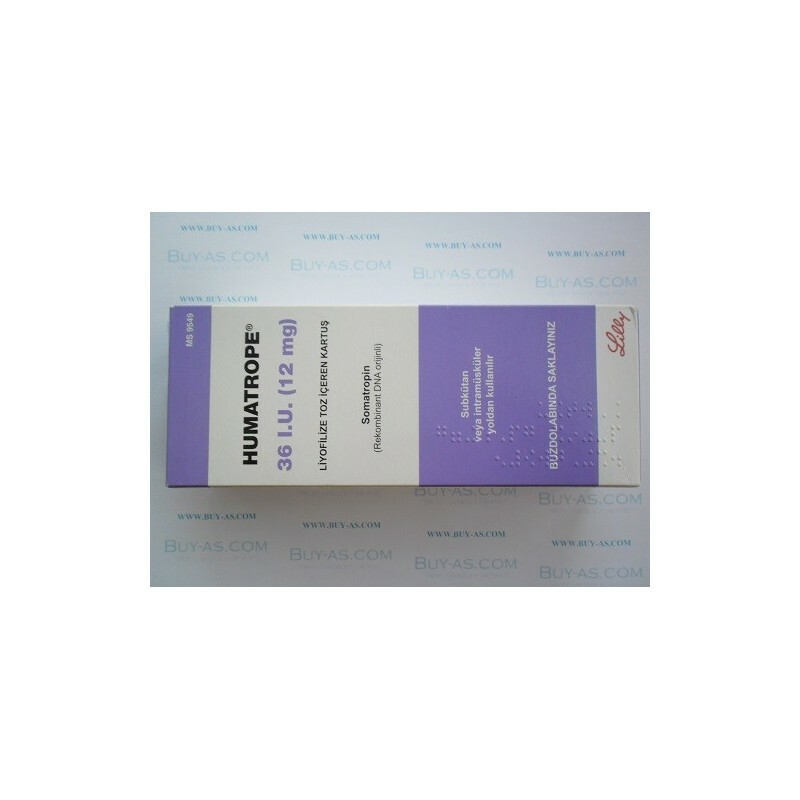 Substance: Somatropin 36 IU 12 mg.
Package: 1 injection cartrige of 36iu. 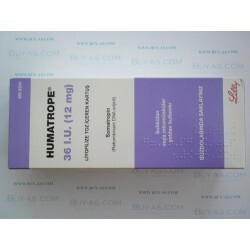 Humatrope 36iu (12mg) is used for human growth hormone replacement therapy. It is a synthetic 191 amino acid sequence identical to the human growth hormone produced naturally in the body by the pituitary. Human Growth Hormone can affect how the cells use carbohydrates and fats. Increasing lean mass and decreasing fat is verified by human worth hormone (HGH). It is naturally produced in the body, it is usually produced in its greatest levels in children when the body is growing. Because the body doesn't need it for natural growing purposes adults produce less HGH. Taking supplements is the only way increase the levels of Human Growth Hormone in the system. For the common use for bodybuilding is (2-6 IU's a day) and the more commonly used vial size (10 IU's). Some Bacteriostatic water (BW), Sterile Water, or even liquid vitamin B12 are needed to reconstitute this lyophilized powder and make it ready to inject.